Upon the declaration of war on 4th August 1914, Leeds City Council held a special meeting in response to the news, whilst the people of Leeds began to panic buy food. The impact of war was felt in the city from the outset. At Leeds Museums and Galleries, the Preservative Party are committed to researching and commemorating the city’s sacrifices. We are the museum service’s youth group and the creators of WW1 Leeds, an interactive Facebook timeline documenting the story of Leeds during the war (www.facebook.com/WW1Leeds). Our research has revealed that Leeds and its people made a significant and varied contribution to the war effort both at home and in the different arenas of war. By 8th September 1914, the Leeds Pals battalion had recruited 1275 soldiers. The men, of an average age of 20-21, had passed both physical and IQ tests. When they left Leeds for their training camp, 20,000 people turned out at Leeds City Station to send them off. The Pals remained at Breary Banks in Colsterdale for 9 months before eventually being posted to help protect the strategically important Suez Canal. After a relatively uneventful 3 months in Egypt, the Pals moved to France, arriving in Marseilles ahead of the Battle of the Somme. On 1st July 1916, 24 officers of the Leeds Pals took their men over the tops into No Man’s Land. At the end of the first day of the battle, only 17 of 900 men answered a roll call. 750 men had lost their lives and the battalion was all but decimated. Across Leeds, hundreds of grieving families closed their curtains in mourning. It is said that after the Somme, every street in the city had at least one house with its curtains drawn. 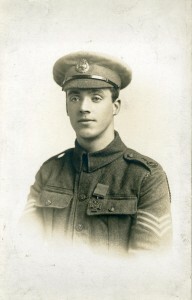 Among the casualties was Captain George Whitaker. The son of a stonemason from Horsforth, Whitaker had played rugby union for Leeds. He was engaged to Mary Hamilton, the daughter of the Leeds Tramways manager, and due to be married on his next leave. He never made it home for his wedding. In contrasting fortune, George Sanders of the Leeds Rifles was decorated for the bravery he showed during the Battle of the Somme. 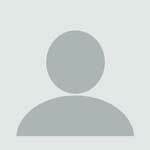 Sanders was an apprentice fitter at the Airedale Foundry, having been educated at Little Holbeck School. Sanders and 30 of his men became isolated after advancing into enemy trenches. Over 36 hours, he and his party held off several enemy attacks and survived without food or water, having given all their supplies to the wounded. His courage and leadership earned him a Victoria Cross. Contributions and sacrifices were made on the home front too. Early in the war, Leeds became home to refugees displaced by the German invasion of Belgium. By the end of October 1914, 800 refugees had arrived in the city. Leeds City Art Gallery was used as a reception centre, with 300 people temporarily housed there. Many Belgians contributed to the war effort, working in the factories. Leeds was a key industrial centre, manufacturing, for example, munitions, aeroplanes, blankets and uniforms, and as such was a target for German Zeppelins. In September 1916, the city’s war industries had a lucky escape as bombers, confused by the blackout, mistook the River Wharfe for the River Aire and hit Harewood House estate rather than the factories. 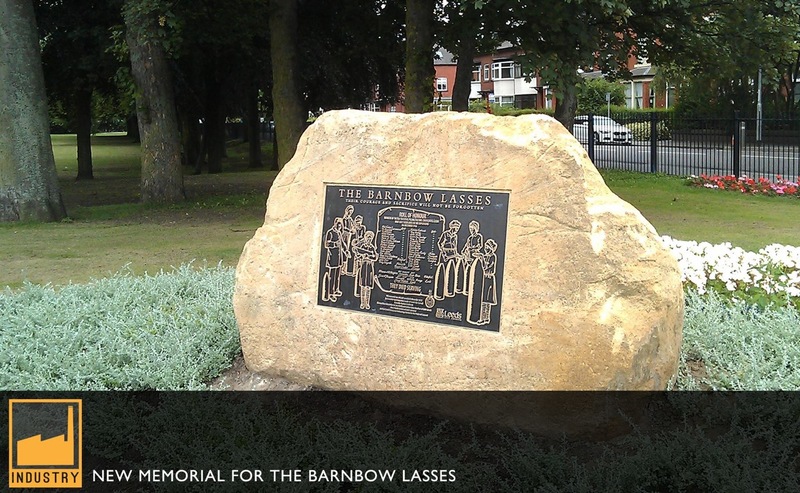 One of the most notable factories in Leeds was the Barnbow munitions works. Over 3 years, 36 million cartridges and over 24 million shells were produced at Barnbow. Described as a city within a city, the 200 acre site was constructed in 3 months and by October 1916 employed 16,000 people, 93% of whom were female. The so-called Barnbow Lasses were well paid for their vital work, which was highly dangerous. Indeed, many of the women made the ultimate sacrifice. During the night shift on 5th December 1916, the women in room 42 were filling 4.5 inch shells when a machine malfunctioned. A massive explosion killed 35 women. Such was the secrecy surrounding the work at Barnbow, the incident was covered up and the women were merely listed in the Yorkshire Evening Post as “killed by accident.” It would be 6 years before the truth was revealed. Already a thriving textiles centre by 1914, several Leeds firms converted their production to army contracts during the war. Burtons switched from tailoring suits to manufacturing enough uniforms to clothe a quarter of the armed forces. Another Leeds tailors, Hepworth & Son, now Next, became the largest clothing manufacturer in the UK during the war. Leeds also became home to many convalescing soldiers. Several military hospitals opened in the city, including at Beckett’s Park teacher training college, which was given over to the War Office. Beckett’s Park became the 2nd Northern General Hospital with 3200 beds. 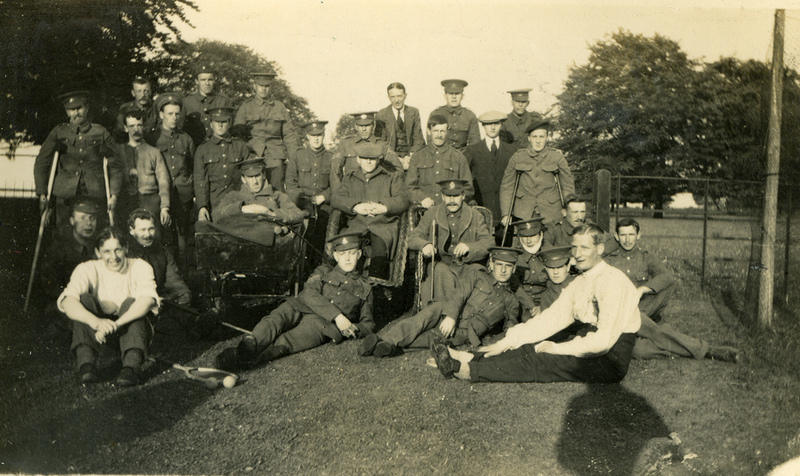 57,200 soldiers were treated at Beckett’s Park between 1914 and 1918. 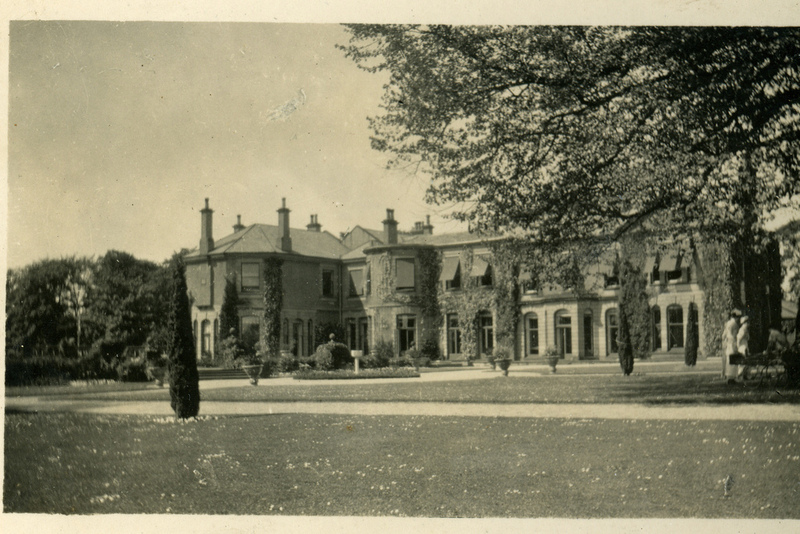 Country houses also became hospitals, including 2 current Leeds Museums and Galleries sites. Temple Newsam housed recovering officers, whilst Colonel Gascoigne of Lotherton Hall insisted upon his property providing for other ranks. Given the city’s wide contribution to the war effort and its significant losses, it is little wonder that the announcement of the Armistice prompted mass celebrations. 40,000 people gathered at the Town Hall where fireworks were let off. Over the course of the war, from the 82,000 Leeds soldiers, 10,000 men had lost their lives. The Preservative Party will continue to research and remember these people over the centenary years and will hopefully be curating a major temporary exhibition telling their story at Leeds City Museum in 2016. Stephanie Webb runs the Preservative Party youth group at Leeds Museums and Galleries. Having enjoyed being members of the group previously, she and her colleague, Verity Smith, became coordinators in June 2013. The Preservative Party are a group of 13-24 year olds from Leeds and the surrounding area, who are interested in museums, history and culture. They work on a variety of projects with museum staff and collections. The Preservative Party have produced WW1 Leeds, an interactive Facebook timeline telling the story of Leeds and its people during the war. They are also currently working towards a youth-curated exhibition to mark the centenary of the First World War, which will hopefully open at Leeds City Museum in 2016. 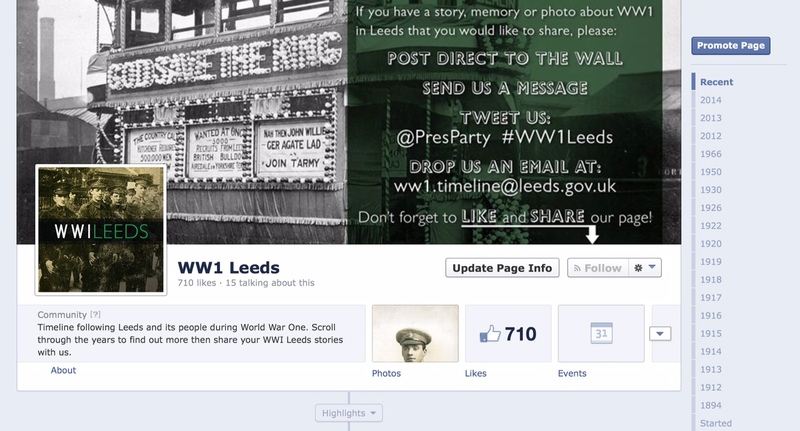 You can follow their progress on Twitter @PresParty and visit the timeline at www.facebook.com/WW1Leeds. This entry was posted in Body and Mind, The Memory of War and tagged 355 (Military science), 358 (Other specialized forces & services), Blogs, U (Military Science), UA (Armies: Organization – distribution – military situation). Bookmark the permalink.